The Committee on Doubling Farmers Income (DFI) has called for an overhaul of the registration process for crop inputs like pesticides to ensure speedy availability of patented and off-patent agri-inputs in the country. The seventh volume of the DFI report, made public for stakeholder views on April 19, examines how resource use efficiency and total factor productivity can be improved in the agricultural sector. According to the committee, there is a need to encourage local production of the new molecules with patents to reduce the cost per unit for the farmer. "Special encouragement should be given for discovery and manufacture of active ingredients in India. The local manufactures should also be encouraged to export, so that they can afford to sell at lower price in the domestic market by way of cross subsidisation to an extent", the report says. The committee calls for a comprehensive policy on products sold as 'organics', 'biostimulants' as these are currently sold without any proper regulatory mechanism. "These are not recommended by any scientific body for usage in pest management, active ingredients in these products are not disclosed, keeping both the user and the subject experts in dark. Many a time, these organic products are used along with the other synthetic insecticides as single application. Therefore, it increases the cost of plant protection significantly. 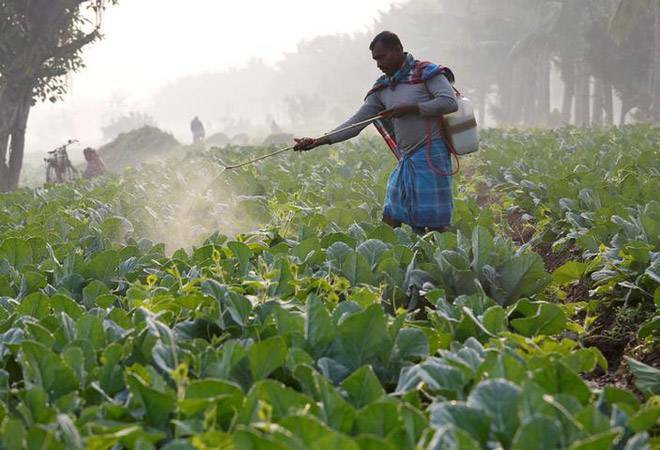 Further, as the nature of the molecule is not known, it also puts the consumer at serious risk on account of pesticide residues", the committee cautions. Another significant suggestion by the committee is the proposal for "prescription-based sales" of pest management inputs. It wanted all states to emulate similar practices that are being undertaken in regions like Kerala (for spices) and Maharashtra (for pomegranate, grapes, sugarcane) on this front. It also proposes that the Registration Committee should be asked to register a formulation after the fixation of its Maximum Residue Limit (MRL) set across by FSSAI (Food Safety Standards Authority of India). Noting that the protective cultivation is becoming popular and with diversification into high value crops, its adoption is growing, the committee wanted formulations specifically registered for use in cultivation, where fertigation (that combines application of water), fertilizer and plant protection can be encouraged. It also called for registration of seed treatment solutions with a focus on export oriented produce. The committee also talks about registering plant protection products needed for treatment of agri-produce during storage (post harvest management), consider price control over generic pesticides. The committee observes that utilization of inputs at the most optimal level makes the agricultural value system more effective, efficient and sustainable. "Resource use efficiency brings long term positive transformation in farmers' income and the agricultural economy. This volume enlists the broad contours of input management, with a view to realise higher net returns from agriculture", it states.